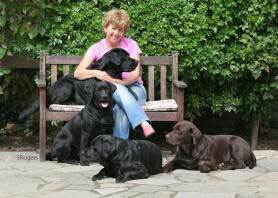 Labradors have been part of our lives since January 1982 when Rosie (Merrymills Bali-Hai) a beautiful, very boisterous black puppy bombarded her way into our hearts. She was bought as a pet for our two sons Lee and Ben. However, we had no idea what impeccable breeding she had! and was persuaded to have a litter from her and start showing her. We were then under the spell… She had only one litter to Heatherbourne Court Jester, and she is behind everything we have. We now breed and own all three colours. We are members of the Labrador Club, the Yellow Labrador Club (of which I am a committee member) Midland Counties Labrador Club, East Anglian Labrador Club, Kent Surrey and Sussex Labrador Club, the Labrador Retriever Club of Wales, The Labrador club of Scotland, Three Ridings Labrador Club, Windsor Gun Dogs Society and Uxbridge and District Canine Society. 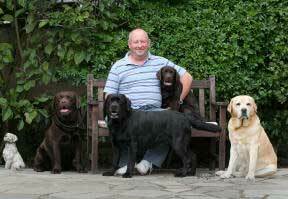 I am also on the Labrador breed council ‘A1’ judging list. I gave my first set of tickets at the Labrador Club of Wales – February 2010 and have been fortunate enough to judge in Russia (Moscow and St. Petersburg), The Netherlands, Spain, Italy, Switzerland, Germany, Argentina, Luxembourg, Lapland, Australia, New Zealand, France, Belgium, Austria, Pakistan and the USA. I have also given tickets again in the UK: at the National Gundog Association, Three Ridings Labrador Club (2013), Gundog Breeds of Scotland (November 2015) and Birmingham (2017) champ shows. There is very little time for anything else these days but we have made so many friends through our dogs both here and abroad which makes it all worth while! 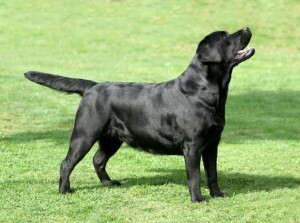 WHAT A WONDERFUL BREED THE LABRADOR IS.